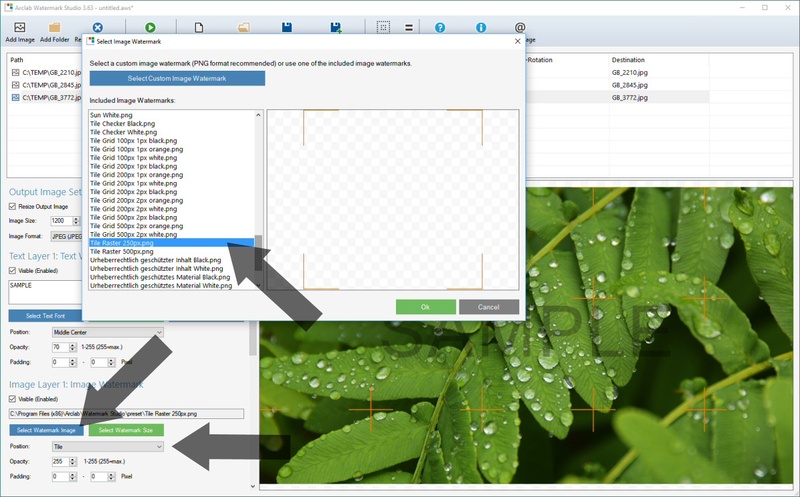 With Arclab Watermark Studio, you can easily add a grid, raster or tiles to your pictures and photos. It does not matter if you want to add the grid to a single or multiple images. 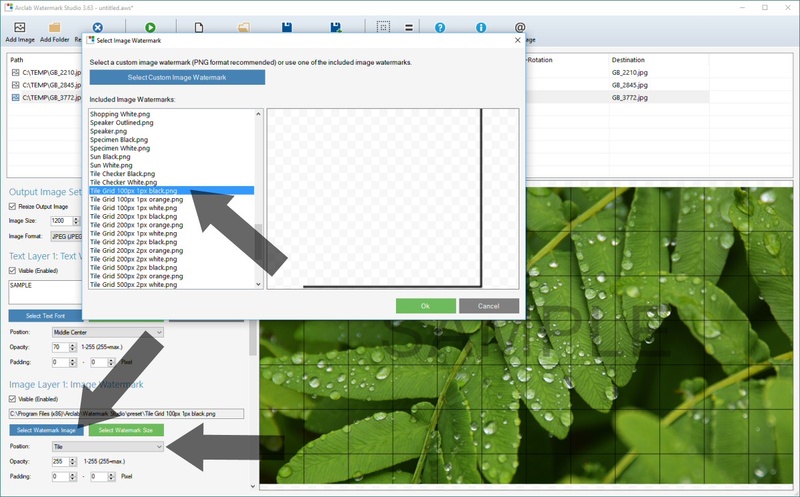 With the program you can process a large number of images at once. Click on one of the images to show the preview image. Select "Position: Tile" and click on "Select Watermark Image" (in "Image Layer 1: Image Watermark"). The selected graphic or watermark is inserted as a tile in the image so that you get the desired grid. The raster tiles contained in the program can be recognized by the file name, which begins with "Tile". Of course, you can also use your own graphic as a raster tile. All you need is the grid tile in the appropriate size as a transparent (32bit) PNG. The following example uses tile "Tile Checker White". You can customize the opacity (transparency) of the tile as well as the size of the watermark tile to fit your needs. Click on "Watermark Size" to change the tile size. Enter the "Opacity" between 1 and 255 (255 = max). 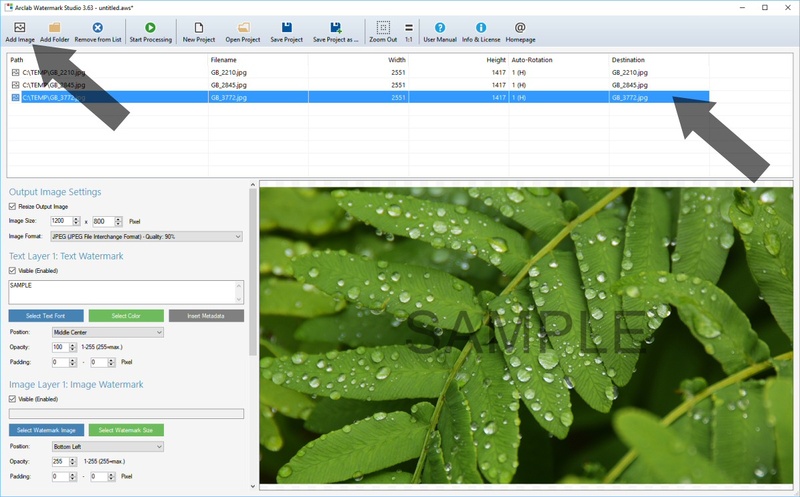 Explore Arclab Watermark Studio with our test version for MS Windows. The test version is fully operational and allows you to test all features of the software.